Metal casting services involve the shaping of free-flowing liquid metals through the use of dies, molds, or patterns. Castings are generally roughly finished due to the nature of their production. In many cases, additional finishing is required to remove burrs and other artefacts of the casting process. Metal castings services are used to design a wide range of components and finished products. Everything from simple nails and fasteners to engine blocks can be fabricated using metal casting services. Common metal casting processes include sand casting, die casting, permanent mold casting, investment casting, centrifugal casting, and lost foam casting. Sand casting is used to make large parts (typically iron, but also bronze, brass, aluminum). Molten metal is poured into a mold cavity formed out of sand (natural or synthetic). Sand castings generally have a rough surface, sometimes with surface impurities and surface variations. Die-casting includes a number of processes in which reusable dies or molds are used to produce casting. The die contains an impression of the finished product together with it’s running, feeding and venting systems. The die is capable of a regular cycle and of (quickly) dissipating the heat of the metal poured into it. Once the liquid metal has cooled sufficiently, the mold is opened and the casting can be removed and finished. In permanent mold casting, molten metal is poured into cast iron molds, coated with a ceramic mold wash. Cores can be a metal, sand, sand shell, or other materials. When completed, the molds are opened and the castings are ejected. Investment casting services involve molding patterns by the injection of a special wax into a metal die. The patterns are assembled into a cluster around a wax runner system. The ‘tree’ of patterns is then coated with 8-10 layers of refractory material. The assembly is heated to remove the wax. The hot mold is cast, and when cool, the mold material is removed by impact, vibration, grit blasting, high-pressure water blasting or chemical dissolution leaving the castings, which are then removed from the runner system. Centrifugal casting services are used to produce castings that are cylindrical in shape. In centrifugal casting, a permanent mold is rotated about its axis at high speeds as the molten metal is poured. The molten metal is centrifugally thrown towards the inside mold wall, where it solidifies. 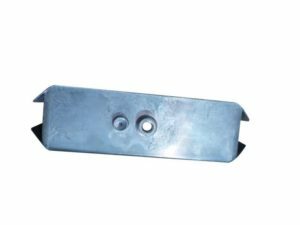 The casting is usually a fine grain casting with a very fine-grained outer diameter, which is resistant to atmospheric corrosion, a typical need with pipes. 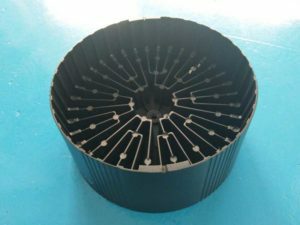 The inside diameter has more impurities and inclusions, which can be machined away. Lost foam casting (LFC) is metal casting services that use foam filled patterns to produce castings. Foam is injected into a pattern, filling all areas, leaving no cavities. When molten metal is injected into the pattern, the foam is burned off allowing the casting to take shape. Die casting and metal casting includes a number of processes in which reusable dies or molds are used to produce casting. The die is capable of a regular cycle and of (quickly) dissipating the heat of the metal poured into it. Once the liquid metal has cooled sufficiently, the mold or is opened and the casting can be removed and finished. In the die casting process, molten metal is injected under pressure into a reusable mold or die. The die contains an impression of the casting together with it’s running, feeding and venting systems. The die is capable of a regular cycle and of (quickly) dissipating the heat of the metal poured into them. Once the liquid metal has cooled sufficiently, the mold or is opened and the metal casting can be removed and finished. the production of components that are symmetric about an axis of rotation. Light automotive wheels are normally manufactured by this technique. Die casting metals can vary widely, and different die casting companies may have the ability to work with anyone or number of them. 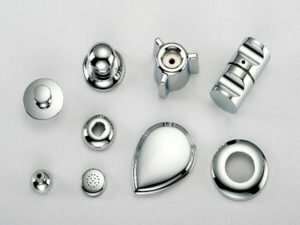 Some of the most common metal casting types include aluminum die casting, brass die casting, lead die casting (the most popular for model die casting), magnesium die casting, and zinc die casting. Hope all of that information is enough for your reference, but if you want to know more information, you are welcome to contact us by phone or email.